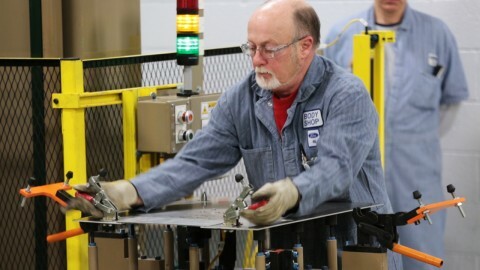 DEARBORN, Mich., Feb. 24, 2015â€“ Since May 2013, more than 8,000 skilled trades and production workers at Fordâ€™s Dearborn Truck Plant and Kansas City Assembly Plant have undergone an intensive training program to support production of the all-new Ford F-150 â€“ the toughest, smartest, most capable F-150 ever. The production training program was designed to support F-150â€™s innovative manufacturing process, which incorporates the latest in advanced materials and forming and joining technologies, including a cutting-edge riveting operation system versus conventional welding. Totaling more than 400 hours of in-class and hands-on courses, the skilled trades program covers everything from installing and configuring new equipment for the production line to constructing the truckâ€™s advanced electrical control system. 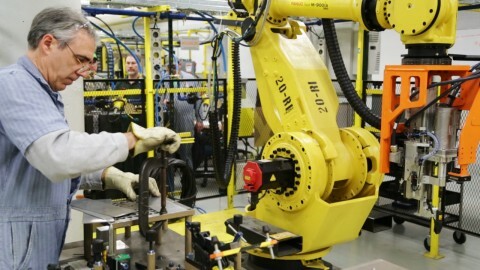 A unique element of the overall program is the â€œtrain the trainerâ€� model, in which the workers become subject matter experts on the new equipment, enabling them to train the crew they work with on a daily basis.